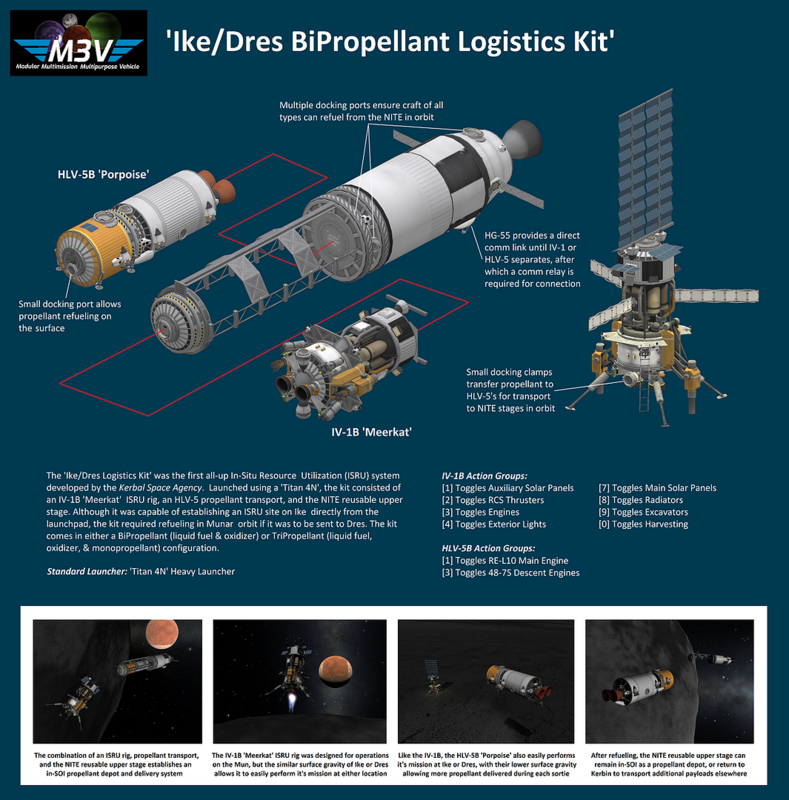 The ‘Ike/Dres Logistics Kit’ was the first all-up In-Situ Resource Utilization (ISRU) system developed by the Kerbal Space Agency. Launched using a ‘Titan 4N’, the kit consisted of an IV-1B ‘Meerkat’ ISRU rig, an HLV-5 propellant transport, and the NITE reusable upper stage. Although it was capable of establishing an ISRU site on Ike directly from the launchpad, the kit required refueling in Munar orbit if it was to be sent to Dres. The kit comes in either a BiPropellant (liquid fuel & oxidizer) or TriPropellant (liquid fuel, oxidizer, & monopropellant) configuration.